Is Google going beyond Cardboard in the VR space? There's a lot of momentum behind virtual reality technology right now, with HTC showing off its Vive headset at MWC and projects from Sony, Samsung and Oculus gathering pace. Now it seems like Google wants a piece of the action with a version of Android built specifically for VR. 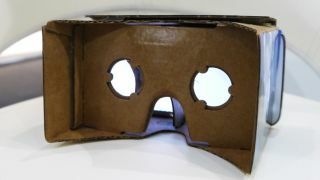 Of course it wouldn't be the tech giant's first foray into the world of virtual reality: its do-it-yourself Cardboard kit and app lets you turn any smartphone into a makeshift VR headset, while Google Glass is a device that operates in the same kind of area. A VR-specific version of Android is one step further though, and would give Google a presence on headsets from multiple manufacturers. Sources speaking to the Wall Street Journal say a small team is now working on the project, though there's no indication of when we might see it. The majority of virtual reality headsets in development today run software via a connected computer, but an Android VR device would offer greater standalone capabilities (and of course access to the Google Play Store). Google hasn't said anything official yet, but considering how keen it is to get Android running on all kinds of devices, it would make sense for the company to be exploring its options in virtual reality as well. If something is in the works, we might well hear more about it at Google I/O in the summer. With Microsoft working on HoloLens and Apple filing VR patents of its own, this is an area of technology that's only going to get busier - and when you finally do pick up one of these futuristic headsets for yourself, you might have to decide on a mobile OS at the same time. Google Cardboard - should you take it seriously?